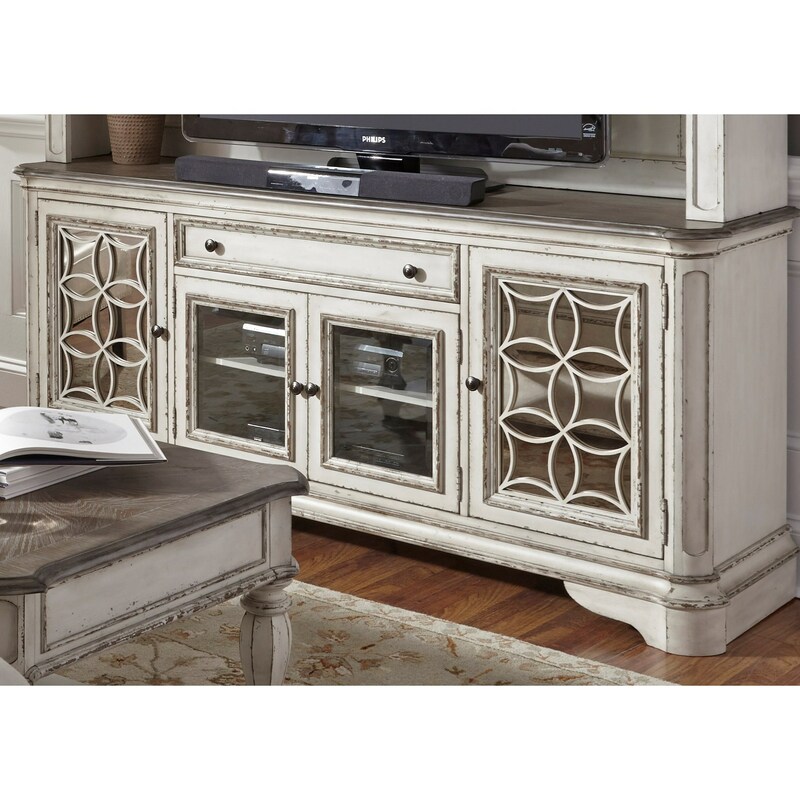 Well-crafted with rustic style elements, this traditional TV stand makes a wonderful home for your television and related accessories. Highlighted by a top dovetail drawer with metal side glides, the piece includes several shelf areas concealed behind four glass doors. Showcasing beautiful styling and resting on bracket feet, this stand is perfect for your more traditional living room setting. The Magnolia Manor Entertainment TV Stand with Glass Doors by Liberty Furniture at Miskelly Furniture in the Jackson, Pearl, Madison, Ridgeland, Flowood Mississippi area. Product availability may vary. Contact us for the most current availability on this product.